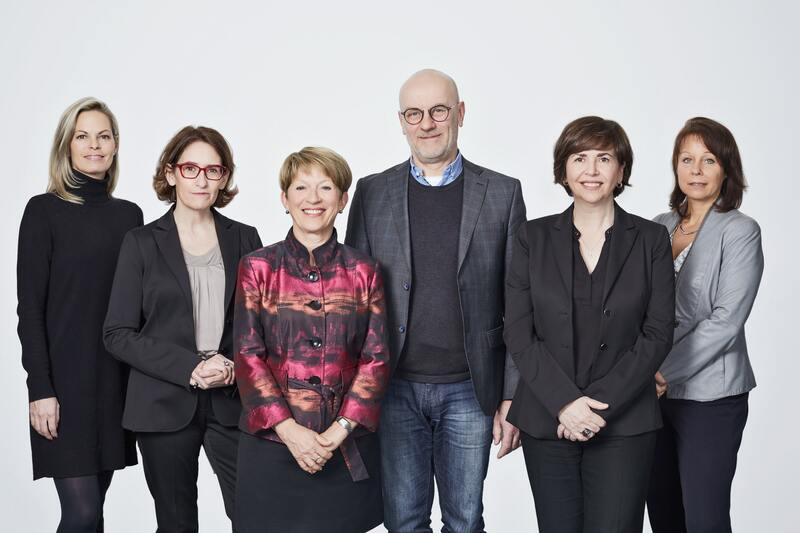 In the photo: Members of the board of directors of CATALIS Québec, along with Danika Laberge, General Director: Carole Jabet, Centre hospitalier de l’Université de Montréal (CHUM); Louise Proulx, Corporate Director; Marc Rivière, TVM Life Science Management Inc.; Monique Lacroix, Novartis Pharmaceuticals Canada Inc.; Diane Gosselin, CQDM. Absent: Jefferson Tea, Takeda Canada Inc., Jacques Michaud, CHU Sainte-Justine Research Center. CATALIS’s management team is pleased to present the seven renowned directors, representing hospital management, the pharmaceutical industry and life science organizations, that became its board of directors on March 7th. Dr. Marc Rivière, General Partner and Medical Director at TVM Life Science Management Inc., succeeds Ms. Diane Gosselin, President and CEO of CQDM, as chairperson of CATALIS Québec’s board of directors. “I am pleased to help achieve CATALIS’s vision, which is to make Quebec a major centre for early-stage clinical research worldwide. I hope that CATALIS will serve as a vehicle to bridge the gap between the needs of industry, researchers and institutions to facilitate patient access to innovative therapies,” stated Dr. Marc Rivière. “In 2017, the Government of Quebec tasked the CQDM with launching the CATALIS Initiative and the CATALIS Québec coordination office. All clinical research stakeholders in Quebec very quickly rallied around a common goal – that of finding solutions to maximize the performance of clinical trials conducted in Quebec and stimulating private investment in early-stage clinical research,” added Diane Gosselin, who remains the executive chair of CATALIS Québec. CATALIS Québec is an independent, non-profit organization that receives financial support from the Ministère de l’Économie et de l’Innovation du Québec and the pharmaceutical industry. The members of the board of directors are: Dr. Marc Rivière, TVM Life Science Management Inc.; Ms. Monique Lacroix, Novartis Pharmaceuticals Canada Inc.; Dr. Jacques Michaud, CHU Sainte-Justine Research Center; Ms. Carole Jabet, Centre hospitalier de l’Université de Montréal (CHUM); Ms. Louise Proulx, Corporate Director; Ms. Diane Gosselin, CQDM; Mr. Jefferson Tea, Takeda Canada Inc. For additional information, visit the “Governance” section of the CATALIS website.